Recently I was in London attending a trade show at which we announced our StruxureOn solution to the UK and Ireland market. StruxureOn represents a fundamental change in the way that we will use automation to improve data center management and operations. 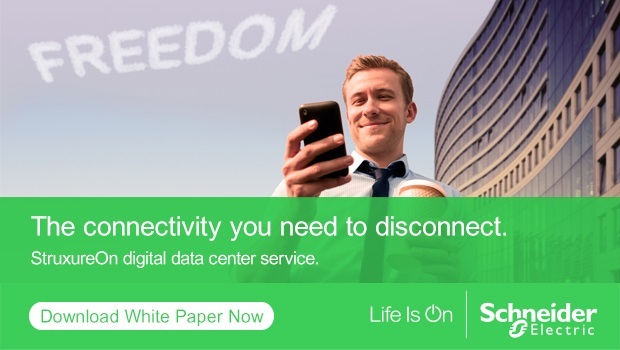 By offering a viable alternative to traditional, on premise approaches, Schneider Electric have introduced the first big disruption to the data center software market. As Gartner noted in their recent Magic Quadrant for Data Center Infrastructure Management (DCIM) Tools, one of Schneider’s strengths as a leader is in its ability to offer flexible pricing, making the software offer appropriate for anyone managing even a small data center. StruxureOn continues this theme of flexibility with one major difference, the standard offer is currently free to the user. Free has always been a powerful word – the strongest word in advertising, I’m told. But, as you can see from the attached video of an interview with me, making a free offer raises a catalog of questions. These range from what features and benefits do you get for nothing, to will it replace the need for DCIM in the data center. So the purpose of this blog and the accompanying video is to answer some, if not all, of those questions. Let’s start with the features and technology of the standard service, which is available only via an IOS or Android smartphone app. The service can track the user’s physical location inside the data center, and includes real-time equipment and environmental monitoring as well as alarming and alarm management. Users can access information about devices such as network address, serial number, location, cooling demand and output, supply and return air temperature, fan speed and the volume of air being moved, etc. The obvious answer to the question, does StruxureOn replace DCIM, is no it doesn’t. The cloud-based service has been designed to run on a smartphone app only because we believe that’s the most useful tool for the hands-on data center professional. The real-time insights which the app will deliver gives a good idea of how beneficial DCIM can be in improving operational efficiency and data center management. In my view, StruxureOn may become a good halfway house while companies make up their minds about a fuller DCIM deployment. If you’d like to know more about digital remote monitoring services, please download our new White Paper 237, Digital Remote Monitoring and How it Changes Data Center Operations and Maintenance. Or if you’d like to get a taste of StruxureOn, please visit https://struxureon.com/ for more details and to download the app. The Benefits of the Premium StruxureOn Offer for Cloud-based Data Center Monitoring An Introduction to StruxureOn Cloud-based Digital Service for Data Center Monitoring What’s the Appeal of Cloud-based DCIM for Data Center Monitoring? Are DCIM-based Cloud Offerings a Game Changer for Data Center Management?